Joe Zente is the President/CEO of Z3 Performance Development, Inc., an international Sales Development firm based in Austin, Texas. Since its founding 15 years ago, ZThree has blossomed into an integrated management consulting organization that has helped hundreds of highly successful entrepreneurs and corporate CEOs and thousands of sales professionals exceed their personal and business goals. ZThree is the home of TAB-Austin and Joe is the Area Developer of TAB-Texas. In addition to helping companies and individuals improve their Sales, ZThree today assists business owners in the key aspects of leading a prosperous, growing business and specializes in eliminating entitlement mentality and developing a Culture of Accountability. ZThree’s client portfolio reads like a Who’s-Who of many of the nation’s most prolific private business CEOs. Joe founded ZThree with a singular vision -- to help private business owners exceed their Sales, Business and Life goals. Joe is the developer of the UnCommon Sense© Formula for Success, a process that has been used by legions of CEOs, managers and salespeople to dramatically improve their top and bottom lines. His approach is practical and no-nonsense. Joe’s Formula is outlined in his forthcoming book, UnCommon Sense© -- The Entrepreneur’s Guide to Building a World Class Sales Organization. Joe understands entrepreneurs. He has run eight companies, founded six and sold two. He has also facilitated over 400 CEO Board Meetings. His experience includes 30 years leading international companies involved in a variety of products, services, technologies and programs. Joe has led companies with offers ranging from complex capital equipment & medical instrumentation to fish, software, sporting goods and conceptual services. He is intimately familiar with the challenges faced by start-ups, hyper-growth firms and large multi-nationals. A serial entrepreneur, national speaker, and investor, Joe led dramatic turn-arounds at two scientific equipment companies prior to committing to a life of serial entrepreneurship. ZThree has a simple philosophy—Freedom Through Results, Results Through Responsibility©. Joe knows that great things can be achieved via Individual Responsibility combined with Effective Processes, Execution, Communication and Teamwork. UnCommon Sense© incorporates these important principles into a program that can be applied to upgrade any Sales organization, whether the product/service is a pure commodity or a sophisticated custom solution. Joe has developed training programs in Sales, Accountability, Effective Communication, Customer Service, Managing for High Performance, Open-Book Management, Change Management and Principle-Centered Leadership. He holds a BS degree in Chemical Engineering from New Jersey Institute of Technology, where he played two varsity sports. When not helping business leaders build world-class sales teams and achieve the freedom they seek, Joe enjoys many sports and travelling the world with his wife and three entrepreneurial sons. Diane earned a Masters degree at Duke University, with concentrations in business and healthcare. She holds a bachelor’s degree in psychology, with a focus in business and communications. She is a licensed practitioner in the Insights Discovery System and is a TAB® Certified Facilitator and Strategic Business Leadership® Coach. Diane is also certified as a Lominger Organizational Change Consultant. Diane is currently a partner with Intergistic Solutions, a business and management consulting firm. Her broad professional experiences, strong leadership skills and collaborative style contribute to her demonstrated ability to assess problems, design solutions, and help owners grow their business. She consults primarily in the areas of leadership effectiveness, team/organizational performance, and business/strategic planning and growth. She is a skilled executive coach and facilitator. 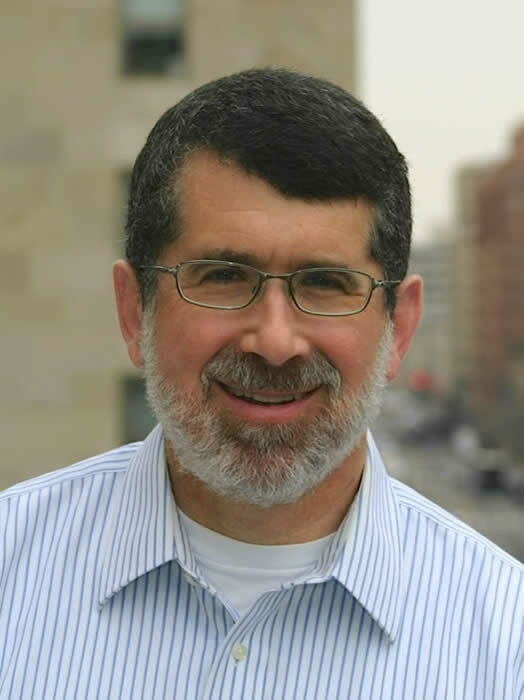 Jim Gerberman has been a TAB® Certified Facilitator and Strategic Business Leadership® since 2018. His passion is creating value by building and growing businesses, more specially building the teams to make it happen. Jim is a principal if Corporate Finance Associates, an Investment Banking and M&A Advisory Firm focused upon the middle market. •	An independent consultant helping small businesses that required turnaround assistance. •	President/CEO of VMETRO, a company the makes embedded computing products in military, defense, and aerospace applications. •	GM and President at Tracor/Baker Hughes/Thermo Electron—involved with analytical instrumentation for measurement in process control, laboratory, and field opernations. Jim received his Ph.D in Management Science from the University of Texas-McCombs School of Business, his MBA from St Edward’s University, and his BS in Generatl Engineering from West Point. Tom Irby was born and raised in South Texas and graduated from Harlingen High School in 1978. Tom attended Texas State University in San Marcos and received his B.A. in 1983. In 1983 he was hired as the second full time employee of CompuAdd Corporation and was soon promoted to Vice President of Sales and Marketing. CompuAdd grew from a startup to over $700 million in annual sales within a nine year period. Tom founded several sales departments that accounted for hundreds of millions of dollars in revenue per year. While employed at CompuAdd in 1988, he founded a small payphone business to provide payphones to local businesses in the Central Texas area. By 1992, the payphone business transitioned into a full time business and by 1999 had grown to 750 phones over a seven state region. Tom successfully negotiated the sale of the payphone business in 1999 prior to the wireless boom. Over the next several years Tom held positions of Director of Sales and Marketing for Imports by Four Hands and Chief Operating Officer of Silicon Services Consortium here in Austin. He is the current owner AcuScribe Court Reporters, an industry leader in legal services. Tom joined TAB as a member in 2005, and has since become a TAB® Certified Facilitator and a Strategic Business Leadership® Coach. He is also a Sales Development expert and is a certified UnCommon Sense© Sales practitioner. His passion is helping business owners in Central Texas achieve their personal vision. Richard is a TAB® Certified Facilitator and a Strategic Business Leadership® Coach. He is also a licensed practitioner of the Insights Discovery System, UnCommon Sense© Sales, Get Client's Now™, and Quest. Richard is skilled in all aspects of business development including prospecting, presenting and account management. A former U.S. Marine and Austin police officer, Richard has applied this disciplined lifestyle to the discipline of selling. His unique combination of strategy, management, business and communication skills allow him to effectively coach individuals and businesses in the area of customer acquisition. U.S. Marine Corps--learned a valuable management lesson: Effective organizational power emerges from the alignment of a vision and a mission executed by a team of capable people. Austin Police Officer—trained to deal with people in crisis and use of available resources to bring conditions that are out-of-control into manageable situations. Successfully provided services to many of Austin’s largest companies including AMD, Sematech, Applied Materials, PPD, UPS, McNeil Consumer Healthcare, and Solectron. Proven effectiveness in consulting with sales teams as well as coaching individual sales people. BS Degree in Criminal Justice with a concentration in Forensic Science at the University of Southern Mississippi. Sara joined TAB® as a Certified Facilitator and Strategic Business Leadership® Coach in 2018. Dr. Sara Faivre is an executive coach and mentor specializing in emerging and rapidly growing companies. From the research lab to the board room, Sara’s own transformative journey of integrating profit and purpose has illustrated the importance of holistic thinking and interpersonal intelligence for building a successful business. Her passion is helping executives navigate the path of long-range strategic thinking, personal balance and purposeful vision to create sustainable business performance and personal fulfillment. Sara co-founded and was an executive in two Austin biotech startups during the tumultuous dot.com boom-and-bust years and served as a science and technology advisor to a Forbes 500 private investor. She also held research and faculty positions in Molecular Genetics at several top Universities, the USDA and the human genome project. From 2005-2017 she ran Wild Type Ranch, a grass-fed beef company; leveraging her agricultural background, life-science training, innate marketing know-how and interpersonal skills to create a successful business that allowed the personal balance needed to actively parent her two young sons. Sara currently serves on the board of directors of a publicly traded Ag Mortgage GSE, Farmer Mac (NYSE:AGM) and a private emerging tech company, One More Cloud. She is a proud member of Conscious Capitalism and the National Association for Corporate Directors (NACD), where she serves on the advisory board of the Austin Chapter. David is a native Texan, born and raised in Dallas. He received a B.S. in Economics from the Wharton School at the University of Pennsylvania, with a concentration in organizational behavior. He subsequently earned an MBA from Harvard Business School. He is a TAB® certified facilitator, a Strategic Business Leadership® Coach and has more than 20 years of executive leadership experience, building and motivating teams to achieve rapid business growth. David’s career includes leadership positions in both large and small companies in several industries. Prior to founding Pragmatik Ventures, David was Chief Operating Officer of Alchemy Systems, LP, a workplace training company. He moved to Austin with his family in 1998 to serve as President and Chief Operating Officer of Prosoft Learning Corp., a NASDAQ-traded internet training and certification provider. Earlier in his career, David was the first president and general manager of Otis Transit Systems, Inc., a wholly owned subsidiary of Otis Elevator Company, which is a division of United Technologies Corporation. He worked for Trammell Crow Company, a Dallas-based, global real estate developer, before joining Otis Elevator Company. David is currently Vice President and has served for ten years as an elected board member of his local municipal utility district, helping oversee water operations, wastewater treatment and drainage infrastructure for a 400-home community.